When a much loved preacher and anti-abortion campaigner is gunned down outside a women’s health clinic, the police immediately look at the doctor as the most likely suspect. Dr Stephen Nicoletti, is an Ob/Gyn and one of the few doctors in Mississippi who will perform abortions. It’s left to Philadelphia PD transplant, Detective Darla Cavannah to sift through the evidence and find the killer. But with an incompetent partner who is determined to push his own anti-abortion agenda gunning for the doctor, she has to spend just as much time fixing up his messes as investigating the crime…all the while a killer is on the loose and he’s got a plan. The Last Clinic surprised me. I wasn’t expecting to like it as much as I did. It reminded me a little of another book set in Mississippi, A Time to Kill by John Grisham, but I think this book is better. I don’t read too many male authors, and this book has quite obviously been written by a man, but he’s managed to write a female main character who is both interesting and has depth. It’s a solid debut novel and a good start to series that has a lot of potential. This entry was posted in Uncategorized and tagged darla cavannah, deput, gary gusick, misissippi, romantic suspense, the last clinic by setaian. Bookmark the permalink. 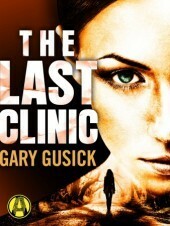 Thanks for taking the time to read and review The Last Clinic. This is the first book in the Darla Cavannah mystery series, and I’m very interested in learning how readers respond to my efforts.